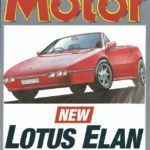 I am currently trying to build up a collection of brochures and old magazine articles on the Elan. Click on a link to download the pdf file. If you have any content that I have not listed and think it could be of use to others and would like it added to this page, please email me via the link on the home page. 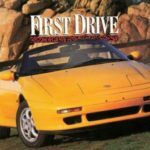 Original Sales brochure. 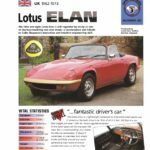 with supplement A 14 page well illustrated full colour brochure with added booklet titled “Elan the story” which gives technical specifications of the Elan and Elan SE. 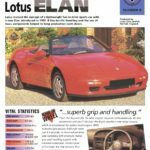 1994 S2 sales brochure, including price list The tiny 5 1/2″square sales brochure for the 800 limited edition S2 Elans. Hot Cars. Elan M100. Binder insert 4 page collectors binder insert that offers technical specifications and some nice colour photos of the Elan M100. Hot Cars. 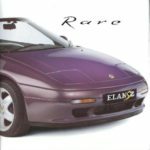 Elan Sprint. Binder insert 4 page colourful binder insert. 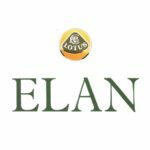 Gives a brief history of the early Elan. 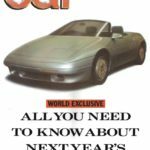 Official web site offers all the latest brochures, an online magazine and archive of earlier publications. proActive Magazine Issue 47 (Winter 2012/13) is now available!